Customizable cleanse: like a magnet for dirt & impurities. 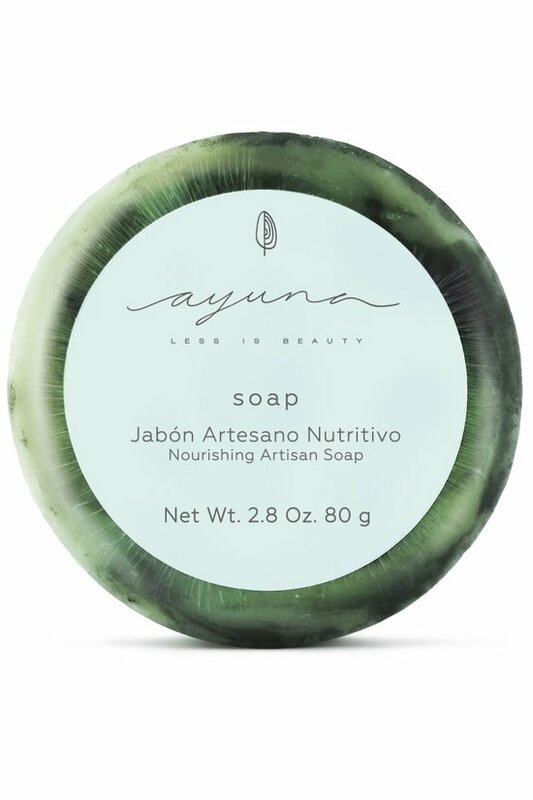 This luxe, artisan soap cleanses like no other, working as a soap, micellar water or makeup remover to deeply detox and free your complexion of all that dulls and ages your skin. A blend of natural hydrating oils and detoxifying activated charcoal whips up into a creamy lather to absorb and sweep away makeup, dirt and impurities. Skin is left so fresh, clean and radiant. Cleanse Mix with water until foamy. Gently massage over the face, neck and decolletage, focusing on areas of concern. Remove with water and dry. Deep Cleanse Activate using a cosmetic brush and water to create a creamy foam, then massage onto the skin. Apply warm moist towels onto the skin for 5 to 10 minutes. Next, thoroughly cleanse the t-zone area without irritating the skin. Remove with warm water and dry.